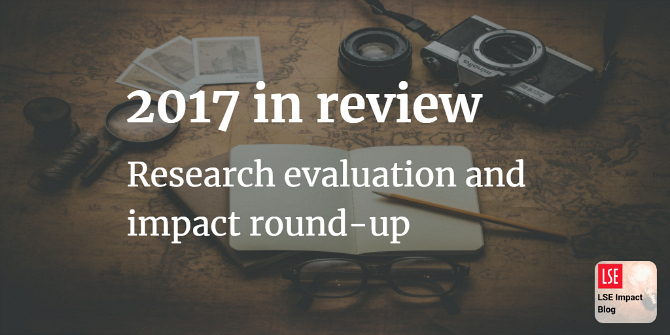 Challenges posed by events such as Brexit highlight the importance of excellent research programmes. Moreover, they represent a broader context in which the next Research Excellence Framework must consider “impact”. But do current REF proposals go far enough towards doing this? Matthew Guest argues that there is not enough of an incentive for institutions to address heightened societal, economic, and global challenges because proposals do not directly link into the wider national agenda. Increasing the overall weighting for impact might go some way towards rectifying this problem. As part of the 2014 Research Excellence Framework, the impact of research was assessed for the first time. But how effective was the impact category in capturing the many diverse forms of interaction between academia and society? Were certain interpretations of impact more highly rewarded than others? And does high-impact research come at the expense of quality? Martin Zaltz Austwick and his research team used a text mining technique to analyse impact case study submissions and address some of these questions. In the last Research Excellence Framework (REF), the new element of research impact was understood in very linear and direct terms. Aoileann Ní Mhurchú, Laura McLeod, Stephanie Collins and Gabriel Siles-Brügge consider how accepted definitions of impact may have had the effect of silencing certain types of research. Research and impact should be seen as a two-way street, where academics engage with their research subjects as part of a process of co-production. Moreover, impact must be thought of as a collective endeavour that captures the broader social and cultural benefits of academic work. The Stern Review recommendations are to be welcomed but whether and how they are adopted remains to be seen. Results of the 2014 Research Excellence Framework have, in some quarters, been interpreted as evidence of a direct relationship between the quality of scientific outputs and the degree of societal impact generated by researchers. However, such an interpretation, allied to definitions of impact such as that used by Research Councils UK, arguably promotes a stronger reading of the REF results whereby only excellent science leads to high-quality impacts. Richard Woolley and Nicolas Robinson-Garcia looked again at the relationship between the 4* components of evaluated scientific outputs and impacts and found a great deal of variation across all panels. It may be that it is this diversity and heterogeneity that constitutes the strength and vibrancy of UK university research. At a time when some audiences and commentators seem intent not simply to resist academic knowledge but to discredit it, the perception of academic researchers as somewhat under siege is perhaps unsurprising. But rather than aggressively reasserting the value of academic expertise, Claire Packman, Louise Rutt and Grace Williams argue for a reconceptualising of the meaning of professional community and a more collaborative approach to research. Professional services staff are often ideally placed to bridge any perceived divide between academic and non-academic stakeholders, and to consider ways to dismantle some of the barriers to effective communication. Many research evaluation systems continue to take a narrow view of excellence, judging the value of work based on the journal in which it is published. Recent research by Diego Chavarro, Ismael Ràfols and colleagues shows how such systems underestimate and prove detrimental to the production of research relevant to important social, economic, and environmental issues. These systems also reflect the biases of journal citation databases which focus heavily on English-language research from the USA and northern and western Europe. Moreover, topics covered by these databases often relate to the interests of industrial stakeholders rather than those of local communities. More inclusive research assessments are needed to overcome the ongoing marginalisation of some peoples, languages, and disciplines and promote engagement rather than elitism. Uncertainties remain over what path the UK economy will take post-Brexit. The government has made clear its plan to leverage the nation’s research strengths to meet the needs of business and society, but new research from Mattia Fosci and Rob Johnson suggests that academic reward and incentive cultures are still hampering efforts to create bridges between business and management researchers and society. Leading universities and business schools need to embrace their social responsibility and work more proactively to create a more inclusive and sustainable economy.